Terraced hillside farms along the Ghobang Khola. Very high resolution image available. A panorama of two portrait oriented images stitched together. Add tags for "Terraced hillside farms along the Ghobang Khola.". Be the first. <http://www.worldcat.org/oclc/910411287> # Terraced hillside farms along the Ghobang Khola. 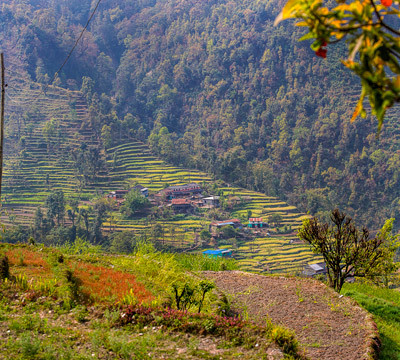 schema:about <http://www.worldcat.org/oclc/910411287> ; # Terraced hillside farms along the Ghobang Khola.